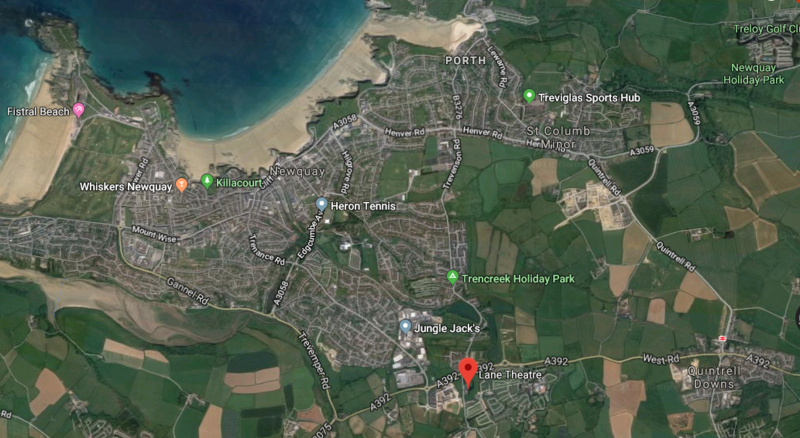 The Newquay U3A General Meeting is held from 10.30 am on the second Tuesday every month (except August) at the Lane Theatre, on the outskirts of Newquay, TR8 4PX (please click on the link for map). At these meetings there is an opportunity to meet up with fellow members over a cup of tea or coffee and biscuits. There is usually a speaker, whose talk will start at 11 am in the auditorium, followed by an address by our chairman after which our group leaders will make announcements. Please note that the Lane Theatre car park can get very full, so please park considerately. Car share if possible. 85 & 87 buses to Morrisons, just a short walk away. For a list of our recent and forthcoming speakers please see the "Speakers" link or tab. On weekdays there is usually something going on in Newquay U3A, both in the morning and in the afternoon. Some events take place in the evening and sometimes we even have something on at the weekend. There are plenty of activities to choose from, which could be physical, educational or social. We currently have over 28 interest groups covering some 25 varied subjects, meeting as required in a wide variety of venues or at each others' homes, organised by volunteers within Newquay U3A. Please see the "Groups" page for a list of all our group activities. Please click on the Events Calendar tab or button for actual dates, times and contact telephone numbers. FRIDAYS at 10.30am - CORNISH DANCING – Meeting most Fridays at St Columb Minor Memorial Hall, subject to adequate number of members interested in taking part. Sorry this group is not able to take new members at the moment. Sheilah - 830037. Below is a list of our General Meetings and forthcoming General Social Events for your diary. All members are welcome at these events. Sat May 11th Other Health and Well-being Fair 10am until 4pm at the Steam Bar, Great Western Hotel. Newquay U3A will have a stall. Please contact: Gret 852895 if you would like to get involved. Tue May 14th Meeting Newquay U3A Annual General Meeting at the Lane Theatre. No speaker. Free refreshments provided. SUBSCRIPTIONS for the year commencing 1st April 2019 are overdue. To continue your membership please pay either by cash, or cheque made payable to Newquay U3A. Join our Nature Study Group on a stroll guided by Gus Horsley, a geology and wildlife expert. Venue: Watergate Bay. Meet on the beach below the Beach Hut at 11am. Bring binoculars if you have them. Tue Sep 10th Meeting U3A General Meeting at Lane Theatre – no speaker. Group Leaders will showcase their group activities. Tue Dec 10th Meeting Christmas Social Meeting - no speaker. Refreshments provided before entertainment by Newquay U3A members and groups. 1) A three course meal with coffee, with a choice of two for each course plus a third dietary/vegetarian main, for £21.95. 2) A two course meal with coffee, with a choice of two for each course plus a third dietary/vegetarian main, for £18.50. Tue May 14th Newquay U3A Annual General Meeting at the Lane Theatre. No speaker. Free refreshments provided. Tue Sep 10th U3A General Meeting at Lane Theatre – no speaker. Group Leaders will showcase their group activities. Tue Dec 10th Christmas Social Meeting - no speaker. Refreshments provided before entertainment by Newquay U3A members and groups. Sat May 11th Health and Well-being Fair 10am until 4pm at the Steam Bar, Great Western Hotel. Newquay U3A will have a stall. Please contact: Gret 852895 if you would like to get involved.